I was born in Ashburton on the Canterbury plains, going to school and University in Christchurch. I graduated with B.Sc. 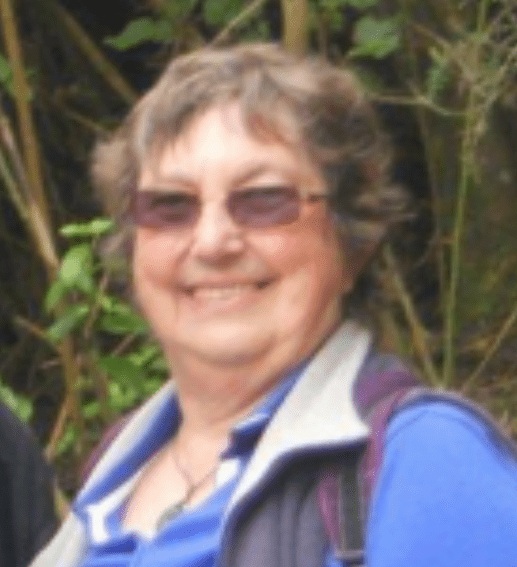 Hons in Zoology in 1963 and began working with the Animal Ecology Section of the DSIR in Wellington. An interesting career in science was underway when I inconveniently became pregnant. Continuing to work was not an option. In no time I was a young mother with two small children living in Porirua. I was attracted to the local Playcentre where mothers of pre-school children were encouraged to feel they were important to the development of their children, and to learn how to become involved in a wide range of child-centered activities. I dived in, trained as a Playcentre Supervisor, and helped set up the Owen Ward Playcentre in Eastern Porirua, working there for some years. When my two older children started school I applied as a relief teacher at Mana College. This was challenging but I survived and soon moved on to Teachers’ College, becoming a trained teacher with a position as a science teacher at Porirua College. This second career was interrupted by the birth of a second daughter, but she and I soon went back to Porirua College where I taught science, biology and later, special needs students, for about 20 years. My first marriage came to an end in the mid 1980s, and looking to meet new and interesting women, I joined the Zonta Club of Mana in 1986. In short order I spent time as Secretary, and then President. A sharp learning curve as a newish Zontian. Life changed again in 1989 when I married Neil Bellingham, a fellow science teacher. Neil and I were selected as volunteers by NZ Volunteer Service Abroad, and spent 2000 and 2001 in Zimbabwe where I taught Biological Laboratory Techniques to students at Harare Polytechnic. Another sharp learning curve, but we both worked hard and fell in love with Africa. It was a life enriching experience. Back home teaching in NZ, I was delighted to be asked to join the staff at He Huarahi Tamariki, the first school for teenage parents and their babies. HHT is a great environment for these young women, and provides wrap-around care and continuing education for under 19 year olds whose only qualification is that they are pregnant or have a young child. Many leave with worthwhile qualifications and move on to further study; time there is of value to every young woman who walks in the door. Staff do everything that comes up, teaching, helping with assignments, ferrying babies to doctor appointments, often just talking. Every day is different. I retired reluctantly in 2006. The years since have been busy too. I am actively involved with Friends of Maara Roa, a local conservation organisation. Neil was one of the early members, planning the revegetation of Cannons Creek valley in the Porirua side of Belmont Regional Park. The group has planted about 3000 trees each year since 2000 so it keeps us out of trouble. I also work every week in the FMR Tree Nursery now based at Aotea College, where many of our seedling trees are raised. In 2012 Juliet was awarded a Porirua City Civic Award for services to the community.